6 Best Homeopathic Medicines for Allergy,HAY FEVER Treatment. Allergy is the most common chronic health problem in the world. Our environment, society, life style has been changed a lot in the last few decades. The spreading of industrialization, urbanization has putted bad impact upon our environment. The pollution level is increasing day by day at every level in air, water and even in our foods. We are living in such an environment which is filled with various pollutants, dusts, pollens, , various bacteria, viruses, some strong smells, strong fumes etc. We are eating various types of foods contains different types of proteins. Among them commons are milk protein, whey protein, egg protein etc. The water what we drink also contain various types useful as well as harmful substance. When all those above things are get inside to our body, our body’s immune system recognize them and differentiate them which are harmful and which harmless for our body and destroy the harmful ones. It is because the body’s immune system of allergic people is very hypersensitive to these substances call allergen when comes in contact with them. The allergic individual create a special type of antibody call Immunoglobin E(Ige), when comes contact with the environmental substances. The reaction between IgE antibodies and allergen, it release huge amount of substances such as histamine, which produce allergic symptoms in skin, nose, eyes, chest, etc. The allergic reaction can be occurred at any place at anywhere. The most common allergens are animal dander, pollens, house dust, house mites, moulds, some drugs, and many food stuffs, especially fish, eggs, milk, and nuts. Bee and wasp stings may cause allergic reactions, with fatal results in rare cases. Additionally, feathers, wood, dyes, cosmetics, and perfumes may act as allergen. The immune system is your body's defense system against all those foreign invaders such as bacteria, viruses, various foreign substances. These agents are called antigens. The immune system consists of various immune cells and tissues that works together constantly and consistently to keep you healthy and alive. WBC or White blood cells act as your main defense against these antigens. The lymphocyte of white blood cells is one of the important cell plays a major role in allergic reaction. Two major types of lymphocytes, the T lymphocytes and B lymphocytes involve fully in all allergic reaction of body. The T cells and B cells travels everywhere in your body. They pass across the blood vessels walls and moves in the inter cellular space and roam around. The T cell when find an antigen gets activated and produce some chemical messenger called cytokines. Those cytokines activate the other lymphocyte B cell to convert the plasma cell. The plasma cell produces the antibodies IgE. The peoples who have an allergic constitution produce more IgE antibodies. There are mast cells present throughout the body, especially beneath the surface of the skin, near blood vessels and lymphatic vessels, within nerves, throughout the respiratory system, and in the digestive and urinary tracts. A mast cell is a type of white blood cell contains many granules rich in histamine, inflammatory mediators. The binding of IgE antibody to the mast cell causes the release of histamine and other inflammatory mediators in the surrounding tissue. Those histamine granules when come in contact with the tissue surface initiate the inflammatory reaction. So as a result the symptoms of sneezing, running nose, congestion of eyes are occurred. The inflammatory reaction also constricts the bronchial airways so creates difficulties in breathimg. The allergic symptoms are developed within a few minutes to hour of being exposed to the things somebody is allergic to. The dust allergy is the most commonly found allergy in many people. One dust particle contains pet dander, pieces of dead cockroaches, and mold spores, along with dead skin and dust mites. Dust mites are generally found in your old mattress, bedding, pillows, and blankets etc. They prefer to live in warm damp places. They are so tiny creature cannot be seen in naked eyes. Dust mites like to eat dead skin from pets and humans that shed out of your body. Pollens are fine yellowish powder like substances that is transported from plant to plant by the wind, by birds or insects or by other animals and come in contact to your nose or nasal passage. This reacts adversely with some people who are allergic to pollens. The pollen allergy is also called hay fever. Animal dander is nothing but the dead skin cell of animals. Almost all pets, such as kittens, dogs, birds, and rats have animal dander. These are the common trigger factor for various respiratory allergic diseases such as allergic rhinitis, allergic bronchial asthma. Urticaria or hives likes rashes also appear on skin. Swelling of the lips, tongue, or face. Fragrances become a part of our daily life. But some people get hypersensitive reaction with some fragrances of Hair spray, soap, body and facial lotion, hair shampoo or conditioner, Face wash, cosmetics, deodorant and barber sprit contain fragrance. Watery nasal Discharge with itching inside the nose. Many people are very hyper sensitive to cold air or cold weather and shows cold like symptoms during cold winter season, changing climate or season change. The allergic symptoms are develop when they do exposed to the cold air. Difficulty in breathing with wheezing sound in chest. Most of the people are allergic reaction to insect stings. The majority of insect stings come from wasps, yellow jackets, hornets and bees. Cockroaches are crawling across your kitchen floor in the middle of the night. They can be an allergy trigger as well. The saliva, feces and shedding body parts of cockroaches can trigger both asthma and allergies. Allergic rhinitis:- Allergic rhinitis is an allergic inflammation of the nasal airways. It occurs when an allergen, such as pollen, dust or animal dander is inhaled by an individual with a sensitized immune system. It causes sneezing, itchy and watery eyes, swelling and inflammation of the nasal passages, and an increase in mucus production. Many of the same factors that trigger allergic rhinitis can also trigger an allergic bronchial asthma attack. Allergic Bronchial Asthma - It is the common chronic inflammatory disease of the airways characterized by variable and recurring symptoms, reversible airflow obstruction, and bronchospasm. Symptoms include wheezing, coughing, chest tightness, and shortness of breath. It is triggered by various allergens or irritants. In allergic asthma, when the airways come in contact with an allergen, the immune system reacts and releases chemicals. These chemicals cause the muscles around the airways to tighten. Inflammation, swelling, and a buildup of mucus in the airways causes further narrowing. Allergic tonsillitis and adenoids - Tonsils are the two round lumps in the back of the throat. Tonsils can be seen clearly in the back of the throat, while the adenoids are located high in the throat behind the nose and the roof of the mouth (soft palate) and are not visible. Those are the lymph glands like other lymph gland. The inflammation of tonsils and adenoids are called tonsillitis and adenoids. the common symptoms occurs in tonsillitis are sore throat, can not swallow any thing because of throat pain, sometimes redness of tonsils, cough , fever etc. The adenoids symptoms are snoring, sleeping disorder, weakness feeling etc. Nasal polyp: nasal polyps are non cancerous grape shaped growths found around the nasal mucus membrane especially at the place where the sinus opens to the nasal passage. They result from chronic inflammation due to allergy, asthma, recurring infection or certain immune disorder. The common symptoms are blocked stuffy nose, post nasal drip, runny nose, loss of smell, pain in maxillary portion, etc. urticaria or hives - Urticaria or hives is a skin reaction of appearance of various sizes smooth, slightly elevated pinkish patches of wheals like attended with severe itching result from allergic reaction. Those are subsided automatically after a few minutes to hour without leaving any scar. Most cases of urticaria are self-limited and of short duration. Chronic urticaria is defined as urticaria with recurrent episodes lasting longer than 6 weeks. Atopic dermatitis or Eczema – atopic dermatitis or eczema is one type of inflammation of skin characterize with itchy, redness , rough and cracked skin patches result from allergic cause. they may be wet and oozing of sticky watery fluid from that affected part. Gastro enteritis – There is abdominal pain, nausea and loose bowel movement generally occur in child and babies. Births during high-pollen seasons. Those babies born during high-pollen seasons may be more sensitive to hay fever allergens later in life. Allergen exposure. Early exposure to allergens like mold, pollen, dust mites, pet dander, cockroaches, and some types of food seems to increase your risk of developing allergies. Being a bottle-fed baby. Studies show that breast-feeding reduces the frequency and severity of allergies in children. Being born prematurely. Premature babies have a higher risk of developing allergies later in life. Having one or more parents who have nasal allergies. Children have allergies if just one of their parents have allergies, then there risk is nearly 70%. Environmental issues and lifestyle changes, Urban living, higher exposure to dust mites, atmospheric pollution, nutrition, lifestyle changes, maternal smoking, diesel fumes, geography, the "hygiene hypothesis," the strongest risk factor for the development of allergies/asthma. An allergy is the hyper immune reaction of a person to many substances which are though safe for others but harmful to an allergic people. there are various types allergens or antigens present in the environment such as dust mites, pollens, various foods, many drugs, cold air, strong smells of various substances like perfumes, petrol, paints. Those antigens or allergens when enters inside body our immune cells recognize them and eliminate them out. Our immune cells like T cells (T lymphocyte) and B cells (B lymphocytes) play the major role to perform this task. A person of hypersensitive immune system, the B cells induces the inflammatory tissue reaction called allergic reaction when comes in contact to those antigens or allergens. The B cells of a sensitized immune system when detect any such foreign protein or antigen produce certain substances called IgE antibody. In our body there are some cells called mast cells. Those mast cells contain some granules called histamine and heparin. Around the surface of mast cells numerous receptor are found called FC receptors to which the IgE antibody binds. When any allergen invade the body the B cell identifies the invader and produces the IgE antibodies that flows and attach with the FC receptor of mast cell surface. The antigen or allergen further binds with those IgE antibodies over mast cell surface. This way of antigen and antibody fixation stimulate the mast cell to releases the histamine content around the tissues. Those histamines when comes in contact to the surrounding tissue binds to the histamine receptors (H1 receptor) present over the tissue surface and starts developing allergic reactions. The symptoms of sneezing, runny nose, redness and itching of eyes nose are nothing but the outcomes result of histamine and tissue reaction. Conventional treatment helps to check the allergic symptoms by histamine receptor antagonist or leukotriene receptor antagonist method. Similarly the steroid preparation helps to minimize the inflammation of the respiratory and nasal mucous surface hence reduces the symptoms. It helps to chect the allergic reaction in a short term period. Again when the person exposes to the same allergens produce same symptoms and need the same medication to stop the reaction. Therefore it becomes essential to take those medications for regular basis to check allergic reaction. As we have to live in the same environment so it is quite difficult to keep away us from those allergens at all. So for a long term curative prospect, it is required to rectify the hypersensitivity nature of the immune system of the allergic person so that when he get exposed to the same allergens does not react adversely which he was reacting earlier. If one person’s immune system has become hypersensitive, so under the back ground there must be something that has made it such like. So what are the things that have made the immune system so hypersensitive? Staying always in a stressful condition for weeks or even months produces cortisol, the body's stress-induced hormone. When cortisol becomes elevated and remains so for awhile, it affects the cells that comprise your immune system. So prolonged stress condition can affect your immune system to become hypersensitive. When anybody is in stressful situation he/she may react differently to the stress. Some people feels hopeless, desperate from the stress. Some people feels frustrated, anger or vexed by the situation. Some people feel to cry out loudly or even cry while sharing their mater. A homeopathy physician searches out the exact reaction what the person express or feel out of a stress and accordingly choose the medicine. This is just a single example of selection of remedy. Similarly there are many factors needed to be considered to choose a suitable remedy for that patient. There are different types of emotions like sadness, anger, frustration, fear, apprehension. Some people constantly suppress their natural emotions due to some unavoidable circumstance and that suppression directly affect on the immune system. so here a homeopathy physician try to find out what is the exact emotional factor has been suppressed and select accordingly one constitutional remedy which helps to modify his immune system to work normally. The constitutional homeopathy treatment offers a long term cure to the allergic patient. Besides that there are many remedies which are given to manage the acute symptoms of allergic disease. At the time of acute crises of allergic problem there are various medicines specifically used for a specific symptoms can be given to manage the acute condition. Arsenic alb - There is thin watery discharge from the nose with burning sensation, recurrent sneezing one after another with runny nose. Burning and tearing of eyes . There is puffiness around eyes, stuffy nose. The person has an asthmatic tendency with breathing difficulties, and oppression of chest which is generally worse when he lies down. On sitting with a forward bending posture makes the patient little comfort from his asthmatic problem. There is marked wheezing sound during asthmatic affection. The asthma is worse in wet cold weather. Besides that the constitutional symptoms of arsenic alb are anxiety, restlessness, prostration, burning sensation. The anxiety that is found in Arsenic alb is intermingled with fear. The other prominent symptoms are debility, exhaustion, restlessness, with nightly aggravation. Great exhaustion after a slightest exertion. Sulphur – There is itching with redness of eyes in allergic condition. The itching is followed by burning sensation and relieved by cold application. sulphur patient is always irritable, depressed, thin and weak, but good vappetite. He is having forgetful nature, difficulties in thinking. He has many good ideas but cannot implement it. Selfish type person, no regards for others. very lazy person, not cleanness, never look after about his dressing and clothing. Don’t like to take bath. Having of skin diseases always. The skin rashes itch a lot generally in night and warm atmosphere. The person has a feeling congestion or oppression of chest in asthmatic condition. Natrum mur – Natrum mur is generally well indicated in case of allergic condition which gives the symptoms of more itching of nose, throat, ear with recurrent sneezing one after another. The characteristic discharge from the mucous membranes is watery or thick whitish, like the white of an egg. Natrum mur patient is very sensitive in nature. Every thing he/she takes into the heart. The person is irritable in nature and when in upset does not like any body’s present or giving of any consolation. Consolation aggravated the state of the mind - the melancholy, the tearfulness, sometimes brings on anger. The Natrum mur patient is extremely emotional. The whole nervous economy is in a state of fret (visible anxious like scratching finger on her skin in worry). Completely or desperately in love brings on complaints. The natrum mur patient desire to take extra salt in his diet. Sabadilla- it has good action on mucous membrane of the nose and the lachrymal glands, producing coryza and symptoms like hay-fever. There is spasmodic sneezing one after another. symptoms of hay-fever or allergic rhinitis with itchy nose and fluent coryza. Either nostril stuffed up, inspiration through nose labored, snoring. Violent sneezing is occurred from time to time, shaking abdomen followed by lachrymation. There is runny nose with severe frontal headache and redness of eyelids. Allium cepa: Allium Cepa is one of the most commonly used Homeopathic medicines for Allergic Rhinitis or Hay Fever. It is generally used in the symptoms of severe runny nose that drips from the tip of nose with watery eyes. There is burning of nose due to over secretion mucous. Along with the watery nasal discharge there is watery eye. There is profuse sneezing associated with runny nose and watery eyes. Tuberculinum- The patient is very susceptible to catch cold. The physical constitution is lean and thin like natrum mur, but not obese like calcarea carb. If there is family history of tuberculosis or bronchial asthma then is more suitable to give this medicines in any allergic or asthma condition. The person is very depressed, melancholic, taciturn sulky nature. Allergy to Castor Bean - Alumina, Antimonium ars. Wear a mask while cleaning your house or gardening which keeps pollen out of your nose and mouth Clean your floors with a damp mop or cloth daily. If you are putting carpet then clean it by vacuum 2 to 3 times in a week. Use baking soda, mineral oil, club soda, or vinegar to clean instead of using cleaning solutions . Don't Let Pets Sleep with You. Their fur and dander (dried skin, hair, and saliva) can cause allergy to your body. Keep your house plants outside the house in spring season. Because the mold spores that live in the warm and wet dirt of the flower bucket. Allergy or hay fever is developed in a person of hypersensitive immune system. The immune system becomes hypersensitive if you always stay in a constant stress. so meditation, yoga, pranayam are very much essential to keep you stress free. Exercise regularly. Exercise produces adrenaline, a natural way to relieve a stuffy nose. Use an air conditioner or air purifier with a high-efficiency particulate air (HEPA) filter. I have cured allergic rhinitis of my twin sons - first catching cold, pain in head, fever sneezing then extreme breathing trouble, by giving NAT MUR 30 ( only one dose in five days, do not repeat). Finding magical betterment, i switched over to NAT MUR 200. One dose in 15 days. Cured permanently in two doses. Do not repeat. Homeopathic system of medicine has cure for every malfunction of the body. Right medicine tunes the body back to normal. But my experience is that searching for the right remedy is like searching for a pin lost in haystack. This is a holistic approach. I dont think that creator of our body would put us in a mess of remedies for rectifying an anomaly in the body system. Like there are 8 electrons required to make the outermost orbit of an atom stable, there should be about 8 remedies. What I have experienced through my research-ARSENIC, NATRUM MUR, SILICEA, AURUM MET are indispensable. Scholars please find a holistic method of selecting the remedy. My wife is facing allergy/Urticaria problem from 2 years. We have tried Alopathic, Homeopathic also Ayurvedic medicines. Itching on overall body some times rashes. Currently taking Attarax 10 mg every 3 days. I am confuse that the problem is Allergy or Urticaria. Can you please confirm the symptoms are due to the allergy or Urticaria. If the above problem is from allergy so how could we find out from which things/food/insect it is..? If it is Urticaria so what would be the Homeopathic medicine..? Please suggest what medicine she can refer. For your allergy, it is required for a detail consultation with the doctor to analyze your symptoms. So that we can assist you better. For treatment you can apply our online treatment or can come directly to our clinic. You can call us at 9937412150 / 06742740274 to know the details about the treatment. hola from mexico City. In my experience, the remedies that cured me were in order, Psorinum, Aconitum Napellus, Ignatia Amara, Gelsemium, Arsenicum Album, Kali Bichromium. As you can see, there is something in common between all of them. They are remedies for anxiety and panic attacks because allergies are caused by intense sudden fear (traumatic birth, asphyxia, accidents, etc) or long term fear (parents mistreatment or bullying). Claire says "Psorinum has cured more cases of hay fever (allergic rhinitis) in my practice than any other remedy". Hello Sir, I have severe dust allergy. It starts with continuous sneezing, itching and redness around nose, irritation in throat, running nose, headache and watery eye. Pleases suggest me a permanent cure. The chronic allergic rhinitis has the cold like common symptoms such as runny nose, repeated sneezing, itchy nose and ears, sometimes headache. The common medicines of any antihistamine nature just give the relief for a short period of time. Hence there becomes a dependency to take those medicines on regular basis. Homeopathy has a very good scope in treatment of any allergic disorders which give a long term cure to the patient. My daughter is 3 years old.She is getting repeated cold every month. She is taking asthlin inhaler when the cold get worst. But her cold and cough are not getting cured permanently though I do a treatment every time showing to our pediatrics.Can homeopathy help to cure her completely? last 3 years I was suffering from cold and sneezing for which I have tried all type of treatment but not getting a complete cure.Every morning when I wake up I get cold and sneezing and it is hampering my daily routine life. Is there any treatment in homeopathy that can stop my cold & sneeze permanently. Please help me. The recurrent cold and sneezing is the allergic rhinitis problem. 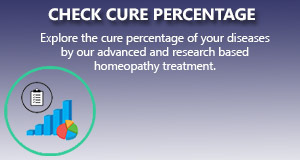 Homeopathy has a cure for all sort of allergic health issues. Homeopathy helps to cure the allergic health problem for a long-term period. So you should start your treatment asap. Thank you. 6 Best homeopathic Medicines for Sinusitis Treatment.